One joyous benefit of moving half-way cross country is all the new experiences just waiting to be tried. In the winding road that is my life, I’ve learned I enjoy pushing the envelope, exploring new things, meeting new people and creating bold adventures. Even as I sit in front of this computer, I’m giddy about filling a blank screen with something creative. So what better California experience could there be than driving to the ocean on a sunny 80 degree day? 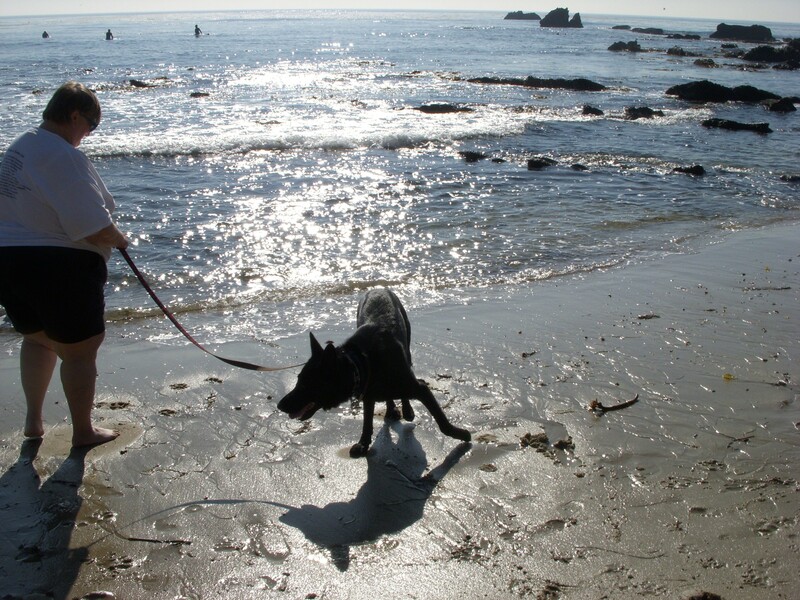 My husband, Richard, and I packed up our dog, Lily, and headed off to Laguna Beach. The day would be Lily’s first beach experience. Normally Lily doesn’t shy away from the water. Back home she’d jump into every puddle and just yesterday leapt and danced in the spray of the sprinkler system. Yet as we slowly waded into the surf it was quickly apparent Lily didn’t understand the waves. She was very content to splash in the water, but as the small surf gently banged against her, fear and trepidation overcame the wonderment we thought she would have. Despite all my soothing words, Lily didn’t want any part of the ocean as long as it included waves. And I wondered how many of us lose out on a great experience simply because we dismiss the soothing words of our God? When we land square at the feet of Jesus, His waves of love pick us back up each and every time we’ve fallen. We thrive under His guidance, yet many of us, myself included, run back to counterfeit forms of peace. One reason I go to the ocean is to drink in the awesomeness, the hugeness, the strength of my God, who created it. Yet despite the sea’s reminder, every hour of every day, I must do the difficult work of directing my mind, my heart and my soul back to the Ultimate Security. Stand – It’s okay to be afraid – to stand on fearful feet. You must first stand in order to walk, then run. Applaud God – Give God a standing ovation in both the extraordinary and the mundane. Gratitude will brighten any circumstance. Bring laughter – Laughter is indeed the best medicine…one of the most potent stress-busters around. When tension circles, just smile and laugh. It will lighten any moment. Sing – It doesn’t matter what your voice is like, bring happy, worship-filled songs into your life. Make your car, your shower, your home into God’s cathedral. No matter how much life changes, God is always there urging you to lean on His strength – to let Him provide your security. So get on your feet and learn to nourish your soul by dancing in the tide of God’s unconditional love. This entry was posted in Improving Every Day Living, Improving Relationship, Joy and tagged contentment, God's love, Joy, life, meaning, presence of God, relationships on November 28, 2011 by Myra Wells. There are so many things to do today as I rush to ready ourselves for our grand feast: a feast to feed our tummies. Yet as I rush, shop, clean, cook and bake, sometimes I forget to just breathe, and savor the moments we are creating. While I want to feed tummies, more importantly, my desire is to feed souls. I’ve scribbled my new “To-Do” List. Feed Gratitude. As I nurture this quality, joy thrives. Feed Flexibility. Our best laid plans may not happen. Guests will be late. Food may get cold, but in the scheme of things, it’s nothing. Feed Laughter. There’s nothing better than cultivating an atmosphere of deep belly laughing after a satisfying meal. Feed Compassion. Even though Old Aunt Sue has shared the same story for the fifteenth time, make her feel as if it is the first. Feed Encouragement. We’re fragile. A blessed word makes hearts soar. Feed Forgiveness. This is the year. Lay it at His feet. Let our Lord carry the burden. Extend forgiveness. Experience freedom. This weekend, slow down and remember to feed their soul, their heart, their imagination, their creativity, and of course, their tummy. When the turkey is gone, and the mashed potatoes are cold, all that is left are the shared moments and memories of doing Life together, and I want to make the most of them, don’t you? This entry was posted in Joy and tagged contentment, friendships, Joy, life, meaning, relationships on November 24, 2011 by Myra Wells. It’s that time of year, when we rush to the store to purchase our turkey, potatoes and stuffing in preparation for a delicious meal on Thanksgiving. Are you the type of person who likes watching the Macy’s Thanksgiving Day parade? Or maybe you prefer the football games? Or do you go to sleep early in preparation for all those alluring Black Friday sales? Sometimes, though, in all the wonderful, amazing rituals of this American holiday, we miss the reason. Thankful, are we really thankful? Even though I think of myself as a half-empty/pessimistic type of gal, I’d say I am generally thankful. When I take a second, stronger look, though, I’m not that sure. To be totally transparent, I’m thankful as long as it’s convenient. I’m thankful for all the gifts I’ve received. And I always thank the giver. And, for all the comfortable, pleasant and awesome things God has showered on me, I lift up the occasional prayer of thanksgiving. Thank you, God, for the untidiness of my house. The dog hair, the unwashed dishes, the lack of organization. Thank you for the struggle to pay the bills. Thank you for being out of work and all the difficult and inelegant interviews in order to find work – that is, if I even get the interview! Normally, we are thankful for only the blessings. Support, gifts, abundance. We are thankful then because it’s easy. My normal reaction is to cry out to God, expressing my displeasure, imploring Him to act quickly to get me out of my distress. But I am not changed when all is going my way. I’m not transformed when my burdens are light. I don’t learn to trust God in those high-flying moments. I am moved to trust God only when I’m faced with such difficulty I have no where else to turn. Those are the days when God strengthens me, holds me up, refocuses my attention on Him, then asks me to trust. I’m grateful to Him for thinking so highly of me to use difficulties to craft me into a kinder, more beautiful person. Past unhappiness now brings a personal sense of wonder. Because of my wounds, grace and sympathy towards others is just a bit easier. 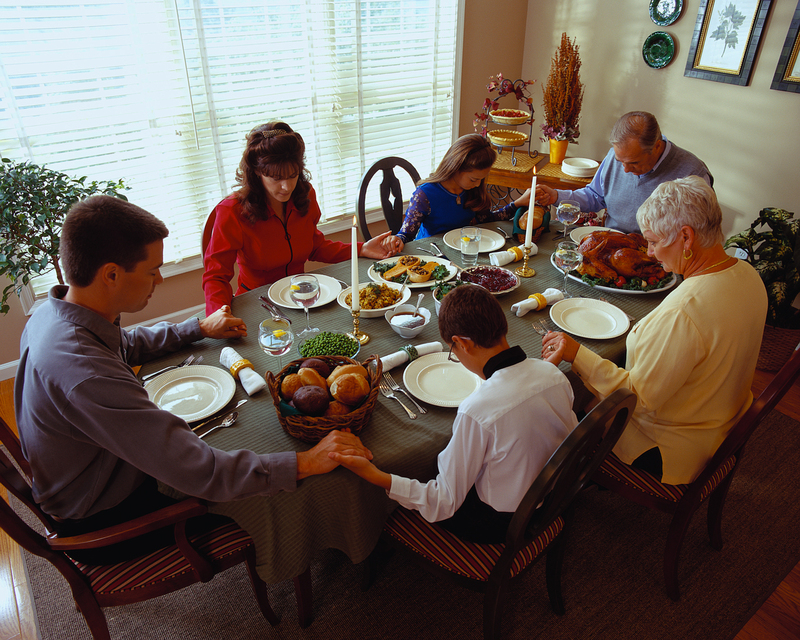 And while at Thanksgiving, I do want to thank God for all He has done to make my life easy – a warm bed, the glow of a fire in the fireplace, a satisfying meal and a fulfilling marriage – I also want to thank him for the struggles. That involves making a choice – one I am making today – to taste the goodness of God even in the darkest moments of our lives. This entry was posted in Improving Every Day Living, Joy and tagged contentment, God's love, heartache, meaning, presence of God, Rescue, wondering on November 21, 2011 by Myra Wells. Let Go of Failure! Move forward! Live boldly!